We have alot to be thankful for these days. But today is very special. we got our first paycheck. Our first paycheck in 8 months. It's been a LONG 8 months. And in those eight months, we've moved 3 times, completed over 400 job applications, had to start master's courses so we'd be able to apply for our dream job and sold my car. And we've lived with our parents for 8 months. Did I mention we're newlyweds? I can breathe easy today, because things are finally being straightened out and put right side up. I am thankful for YOU. More than I can say. Thank you for the special time with the kids. It means more than you know. We love you dearly. 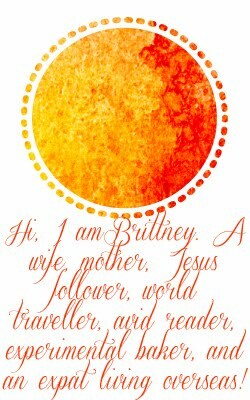 Hi Brittney - I am taking one Christmas card each day and praying for the person/s who sent it. Today was the card I received from you and Ian. First let me say that I appreciate the beautiful sparkly snowflakes on the front that glimmer in the light and reflect colors of the rainbow. It reminds me of the verse "though our sins be as scarlet, they shall be as white as snow." Thanks for that and I do pray for you and Ian - I pray that you will know without a doubt that you are never alone, never unloved, never abandoned, never without hope. The Father of Truth and Love is your Father and in that you must live. We love you. Happy 2010! Brittany, that is such an encouraging blog to me in more ways then one!!! I am so glad you guys find our job, etc. Thank you for sharing your life. It is truly a blessing! So glad I came across your blog! I am already loving it! P.S. Come by my blog... there is something for you! Yay! I'm so excited for you and Ian!! Paychecks are a very very nice thing. And I'm encouraged and amazed by the journey you two are on. Living with one anothers parents for such a period, and moving that much, and staying so upbeat and positive is really a testament to your trusting the Lord through all of this! Thank you for sharing with us.